The Metlakatla Indian Community (MIC), located on the west coast of Annette Island, Alaska, is accessible only by air and water. 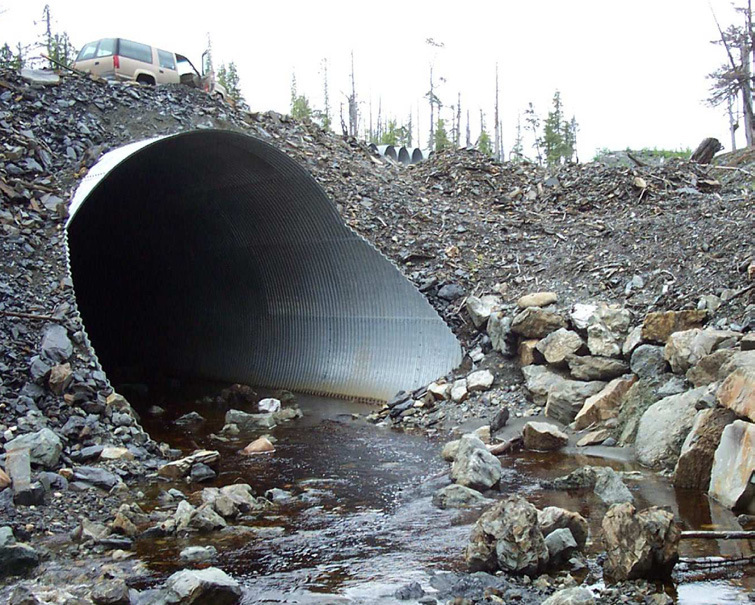 A 14-mile roadway project on Walden Point Road was planned, designed and constructed under the National Environmental Policy Act (NEPA) to link the community of Metlakatla to the northern end of Annette Island. The construction includes the addition of two new ferry terminals that will provide daily transportation and shorten the ferry link between Metlakatla and Ketchikan. 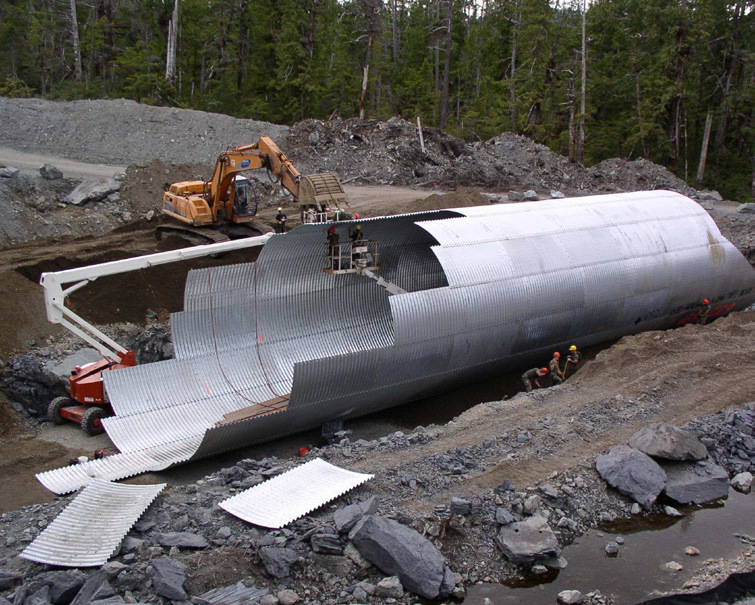 FHWA and the United States Army needed a product to act as a stream-simulated pipe for a fish passage before the roadway was constructed overtop. They chose a 25 ft diameter, 204 ft long MULTI-PLATE structure for the project. MULTI-PLATE was chosen because of its strength, durability and cost effectiveness. The Bureau of Indian Affairs (BIA) was the Federal Lead Agency in charge of permits and funding for NEPA and FHWA was in charge of designing the roadway. The MIC sponsored the project, providing materials and security and overall contract administration.